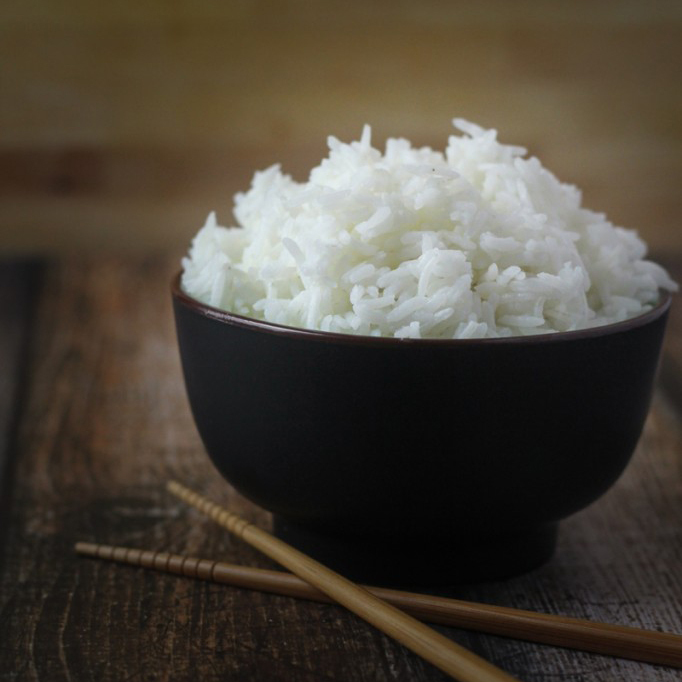 Thai jasmine rice, also known as fragrant rice, is considered the best type of Thai rice. It is sown by hand and watered with rainwater. Thai fragrant rice is rated very highly all over the world, due to its unique properties and especially do to its clean and thin grains. When cooked, it keeps its shape while having a very soft and lightly sticky consistency, as well as the aroma of pandanus leaves. It is sometimes even eaten by itself, without any main dishes or sides. Rice from the jasmine flowers has its origins in the Bang Khla region, of the Chachoengsao province, east of Bangkok. After its popularity becoming widespread, it received the official brand name of “Thai hom mali” which includes the Thai words “hom” for fragrant and “mali” after the jasmine flower. Jasmine rice does not however smell like the jasmine flower. When it’s cooked, its aroma is more that of pandanus leaves. The pleasant fragrance of the rice is solely from naturally occurring substances within it. By no means is anything added to cause such a smell. This kind of smell can be found in every part of the plant that produces it, its stem, leaves as well as in the grains of rice. Jasmine rice is considered so clean that it’s one of the few types of rice not to require cleaning with water before cooking. To preserve its proper quality, taste and fragrance, it must be cooked in the correct way. This means the amount of rice and water has to be measured to create the correct ratio when cooking. No other ingredients such as water or salt are needed to cook it. We recommend cooking it based on the following recipe, in either an oven, microwave, or pot.